March Fundraiser for Circle CA! Help us raise $3000 by March 31st! Our mission is important to us! We want to continue to make acupuncture affordable and accessible to MORE people. Circle Community Acupuncture has provided quality care by experienced practioners in a relaxed, comfortable and non-judgemental community setting for over 10 years. Patients decide what they can pay along our sliding scale of $20-$40 in order to come regularly and often enough to manage both acute and chronic conditions. Families, friends and co-workers receive treatment alongside one another creating strong connections to each other and making their self care and health care a priority that is sustainable. If you or someone you care about relies on Circle Community Acupuncture for their health and well-being, please consider donating to us this month. Donate what you can! If 150 people donate $20, we've reached our goal! Donate in person at the clinic, on the welcome page of our website or call us at 415-864-1070. All month long, patients will tell their stories about the clinic and what it means to them on Instagram and Facebook. Don't miss out on these beautiful and moving stories <3 Follow us! Help keep our doors open and our rates the same! We live in a stressful culture. Experiencing stress, anxiety or worry on a daily basis is not uncommon, so learning to ease the stress in our lives is an important step to a healthy lifestyle. In this class we will discuss the impact of stress on the body and how the emotional and physical bodies are connected. Learn how to dose and prepare herbs to lessen the occurrence and severity of stress, anxiety and worry in your life. Herbal medicine can be preventative medicine. The best time to treat a cold is before it has started. Come learn more about building your immunity, taste herbs to ward off the sniffles and discuss how to use herbs if you do get sick. In this hands-on class, learn how to dose and prepare Western herbs to care for yourself and your loved ones throughout the cold + flu season. Teachers and school staff--we want to thank you for all of your hard work and we want to get you ready for the coming school year. So, throughout the month of August, you pay $15 for acupuncture. For new patients taking advantage of this special, the $10 paperwork fee is also waived. This special is for all teachers and everyone who works at a school. Please share this email with your colleagues and friends! We want to get the word out about one of our favorite monthly specials. Circle Community Acupuncture is a proud member of the People's Organization of Community Acupuncture (POCA), a cooperative of practitioners, patients, students, clinics and other organizations that seeks to increase access to affordable acupuncture. May is our POCA membership drive and member appreciation month! Our goal is to sign up the most people in all of community acupuncture land. Help us reach this goal! POCA members receive $15 treatments throughout the month of May. This special is for new and returning patients and new patient paperwork fee is waived. 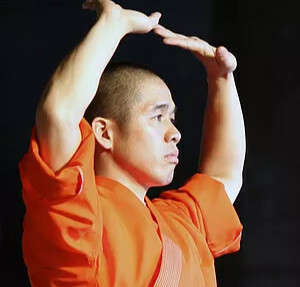 On March 31, Ryo Eguchi is teaching a Qi Gong class. 10am to 11am. $20.